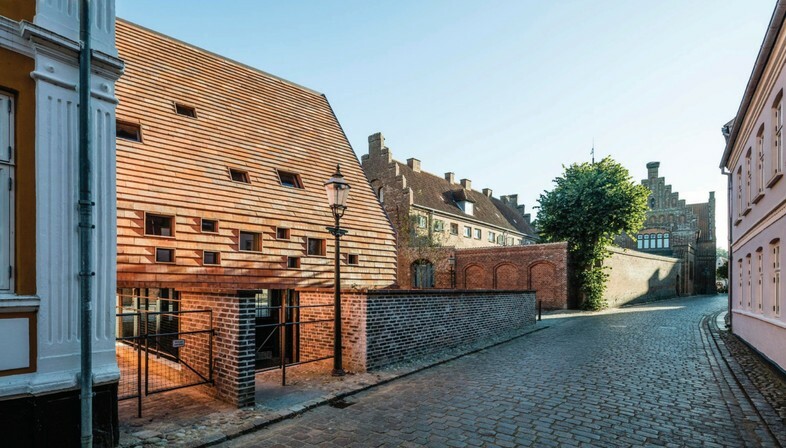 We take our second look at the finalists for the 2017 EU Mies Award, the 2017 European Union Prize for contemporary architecture. 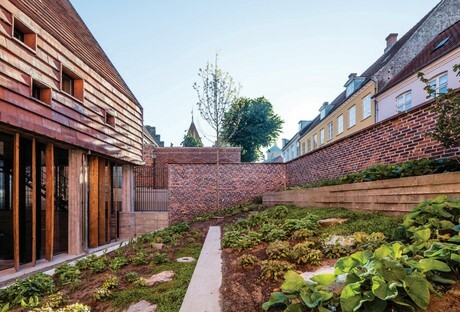 Throughout the month of April we invite you to discover the five finalists for the award in the pages of Floornature while awaiting the announcement of the winner on May 16 in Brussels. 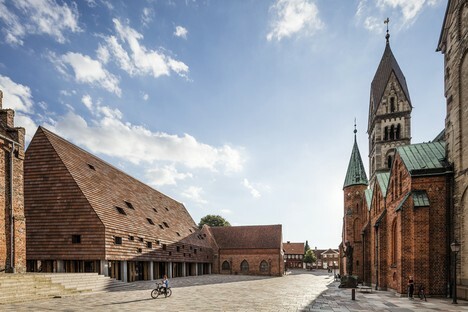 After Alison Brooks Architects’ Ely Court project in London, this week we go to the medieval village of Ribe in Denmark, where architects Lene Tranberg and Boje Lundgaard’s studio Lundgaard & Tranberg designed a new parish centre. 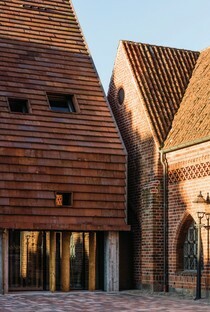 Architects Lene Tranberg and Boje Lundgaard responded to the major challenge presented by the context of the project, Ribe, Denmark’s best-preserved medieval town, and the finding of important archaeological artefacts during excavations on the site: brick structures from an Augustinian monastery dating back to 1100, now integrated into the new building. The new centre is a single oblong volume with a steep roof bordering the square on one side and following the slightly oblique geometry of the lot on the other. 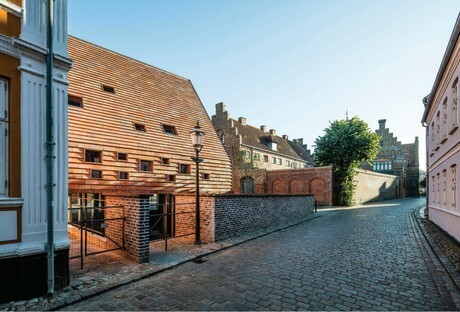 The upper part of its steel frame is covered with tiles in the colour of traditional brick houses, of which it is a contemporary interpretation. 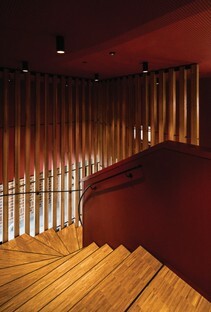 The textured look of the upper levels contrasts with the clear glass ground floor darkened by wooden furniture. 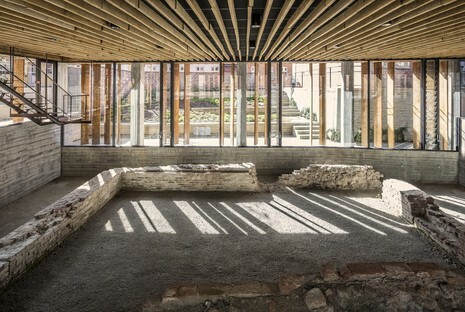 The building is supported by a system of pillars and walls that make the ground floor into the perfect frame for the archaeological findings, at a level of about 2.5 metres below the main square. This means the ruins are always visible from the square, which, with the other historic buildings and the new construction, becomes a visual history of a thousand years of brick construction.